This section (under construction) will carry images of places around near the Antiquity Site of Ephesus. 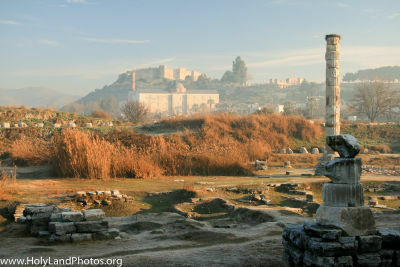 Including: the Temple of Artemis, an Aqueduct, model ships, Mary's House, the Isa Bey Mosque, and the Seven Sleepers. There already are special sections for the Basilica of Saint John and the Cave of Paul and Thecla.